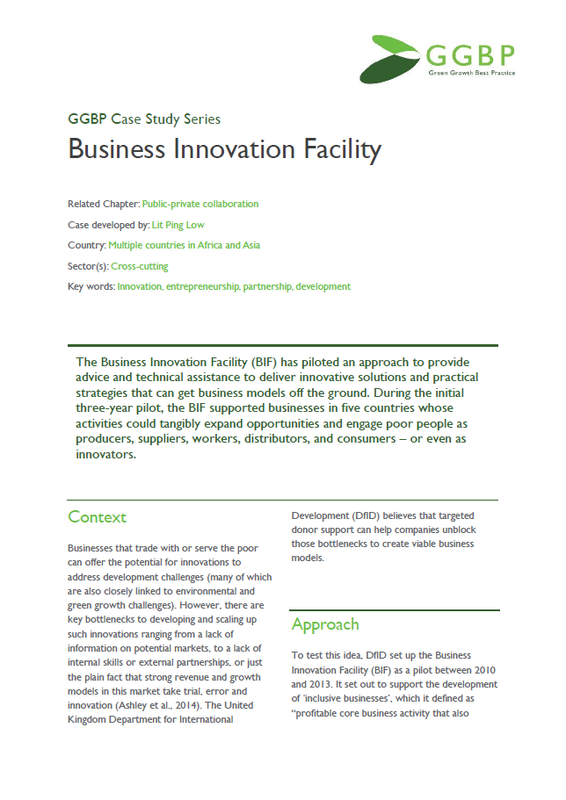 The Business Innovation Facility (BIF) has piloted an approach to provide advice and technical assistance to deliver innovative solutions and practical strategies that can get business models off the ground. During the initial three-year pilot, the BIF supported businesses in five countries whose activities could tangibly expand opportunities and engage poor people as producers, suppliers, workers, distributors, and consumers – or even as innovators. Climate Innovation Centers (CICs) are an important initiative of the World Bank Group’s Climate Technology Program.